Gather 4 Him Christian College is committed to academic excellence throughout the scope and sequence of the program. Students are expected to “rise to the occasion” in all academic endeavors, and our professors are there to help. This means completing reading and homework assignments on time, understanding the coursework, asking questions, exploring through independent research, gaining competence in the mathematics, sciences, and writing at the college level. Learning is maximized when these are accomplished. Our goal is a seamless transition for our students to other institutions of higher learning, both public and private. G4HCC graduates are educated to think about life’s most important issues with clarity, wisdom, and a deep understanding of the foundational commitments of the historic Christian faith. They are agents of G4HCC who live faithfully into their vocations. Eligible persons using VA Education Benefits may not be certified for CM 201 or CM 202 as part of their degree program. Emphasizes the content, organization and delivery of informative and persuasive speeches. Students receive the instructor’s input on each step in the process of writing and delivering four-types of speeches. Biblical ethos is emphasized. College writing is a year-long required course designed to prepare students to think and write clearly, and to perform undergraduate level research. EN123 is a prerequisite for EN132 and must be taken in sequence. This class is designed for students who have successfully completed intermediate algebra. This course will attempt to make mathematics enjoyable, practical, understandable, and informative using a variety of real-life applications. Topics include: linear, quadratic, exponential, and logarithmic models, geometry, tessellations, fractals, logic, interest, annuities, loans, probability, and statistics. An introduction to the important topics in the field, such as behavior, motivation, attitudes, problems of motivation, intelligence and its measurement, learning and remembering, and personality. Introduction to basic sociological concepts concerning the individual, culture, and group life. The course will take an in depth look at a global resurgence of Roman Catholicism and some of the changes occurring in the Islamic world. In addition, the course will examine the decline of Christianity in the West, coupled with the rapid growth of evangelical and Pentecostal Christianity in the Southern and Eastern Hemispheres. A study of economy as a whole. The focus is on aggregates such as the private and the public sectors. Topics explored are inflation, unemployment, monetary and fiscal policy. A survey of the biblical basis for missions. Special emphasis is given to cultural barriers in the communication process. Lessons are taken from the history of missions to develop contemporary strategies of present-day missions. An algebra course with emphasis on practical applications. However, to get to these applications, certain branches of algebraic theory must first be conquered. These areas include properties of the real numbers, linear equations and their solutions, functions, and graphs, polynomial and exponential functions, and conic sections. An introductory statistics course designed for students of average mathematical ability. The collection of data and its representation are studied through sampling techniques and graphs, while the analysis of the data is done through measures of central tendency, measures of variability, correlation, and hypothesis testing. Scientific Inquiry: This course focuses on the nature and practices of science. The course also presents the history and context for the development of understanding of astronomy, physics, and chemistry through studies of selected topics. Energy is a unifying theme of these topics. Concurrent enrollment in SC133L is required. Students will complete 12 laboratory experiments investigating the physical sciences. The experiments will emphasize the application of the scientific method. Concurrent enrollment in SC133 is required. Lab fee: $50. Scientific Inquiry: Life Sciences students will apply scientific methodology and problem solving in the study of biological concepts. The course examines the origin of life, the classification of life, the characteristics of life, cellular processes, body systems, genetics and the omnipotence of God, the Creator. Concurrent enrollment in SC143L is required. Students will conduct laboratory investigations and activities utilizing scientific methodology. Concurrent enrollment in SC143 is required. Lab fee: $50. This course focuses on the study of the Earth as an interconnected living system. This course provides basic scientific knowledge and understanding of how our world works from an environmental perspective. It will explore the causes, consequences and possible solutions to both local and global environmental issues. Students will learn to address and interpret major environmental issues of our time in light of scripture. Topics covered include, but are not limited to general issues on the environment, human population growth, water resources and management, water pollution, hazardous chemicals, air pollution and climate change, energy resources, and sustainability. Concurrent enrollment in SC 120L is required. There are no prerequisites. Lab fee: $50 Concurrent enrollment in SC 120 is required. A variety of fitness-orientated activities taught for student’s physiological, educational, social, and recreational values. Daily physical activity is performed and exercise physiology concepts are taught. This fulfills the fitness-oriented activity credit for graduation. Courses may be repeated for credit. A variety of skill-orientated activities taught for physiological, educational, social, and recreational value. Daily physical activity is required which will include skill development and game situations. The conceptual understanding of the game will include rules, strategies, terminology, and history. Courses may be repeated for credit. This survey is an overview of the Old Testament and New Testament books with an emphasis upon orienting the student to the general content, themes and style of each book and how they relate to the major people, places and events of the Testaments. Integration into our contemporary scene and personal application are stressed. Life of Christ includes a harmony of the Gospels and a careful study of the incarnate life of Christ as recorded in the Gospels. The course also sets the historic and geographic stage for the advent of Christ and familiarizes students with the political and religious atmosphere in which He lived. An introduction to the principles of the inductive method approach to studying the Bible, the development of techniques, utilization of tools, and the employment of various methods such as synthesis and analysis. The principles of interpreting Scripture are presented. This is a study of biblical, historical and cultural aspects of worship, enabling students to develop a broader understanding of worship. Field trips will be taken to explore different church worship traditions and philosophies and how they have developed historically. 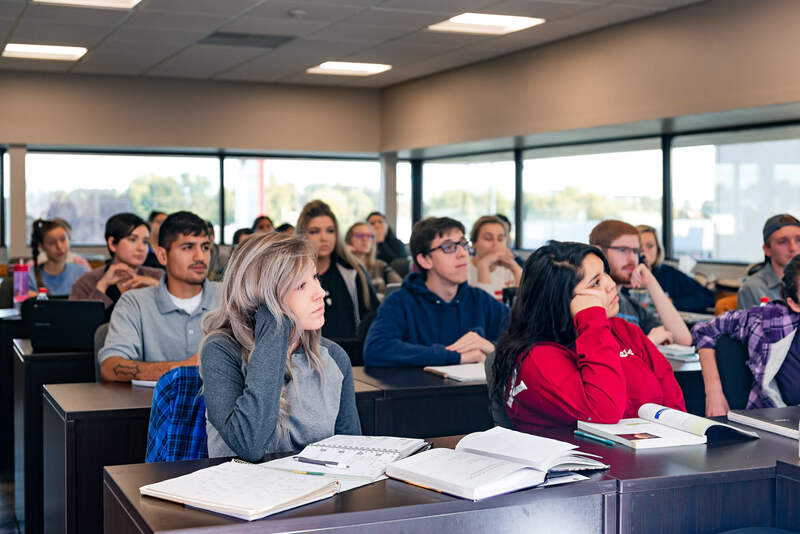 The objective of this course is to give an early introduction to the expectations and challenges of college life and to the academic, social, and procedural system of the higher education system. The objective of this practicum is to allow the student a more active leadership role in a local church and/or community. Prerequisite: SS 101. In this final practicum the student should be well established in a church or community organization. This experience will provide an opportunity for the student to develop a specific area of interest expressed in a final paper while involved in the practicum. Prerequisite: CM 201. Students participate in a missions trip outside the Tri-City area in response to God’s call to “go into all the world and make disciples of all nations” (Matt. 28:19). Our mission experiences involve serving, building, preaching, outreach, and instill in students an appreciation for people in other areas of the world. Participation in a missions trip gives students the opportunity to touch the lives of many hurting people and gives the Holy Spirit the opportunity to work in their lives. In addition, students attend at least one conference focusing on leadership training. Every day students are required to have daily devotions, which include the reading of scripture, prayer and worship. During that time, students are required to journal and hold each other mutually accountable to live a Christ-centered lifestyle by not conforming any longer to the patterns of this world, but by being transformed by the renewing of their mind (Rom. 12:2). Our ultimate goal is for students to be passionate followers of Jesus Christ and be encouraged to serve their Lord and Savior with all their heart, mind and soul (Matt. 22:37). Students who go to G4HCC and transfer to one of the seven institutions listed above will receive Junior standing.